If you are looking for a natural face-lift treatment then one of our Microcurrent facials is the treatment you’ve been looking for. Microcurrent facials emits a very low-voltage current, which mirror’s your own body’s electrical currents. On a cellular level, it repairs damaged skin by simulating collagen and elastin production. At Vanilla Sugar, we use the only FDA approved machine in the United States. All parts of our machine is 100% completely sourced and made right here in the States. That means no parts were sourced in other countries and ensures a much higher & consistent standard. We’ve created completely unique microcurrent treatments that give instant results and even better results when you are put into one of our programs. Our programs are designed to make lasting, visible changes that takes years off your face. If you want to see the results you can get with this machine, go over to Instagram and search #neurotris and #neurotrismicrocurrent. This face-lifting facial will tighten and tone while giving the face a natural lift. Bring life back into your face with this ultimate treatment. This facial begins with a healthy cleanse and a level 1 peel or a microdermabrasion treatment that brings a healthy glow to your skin through deep exfoliation. 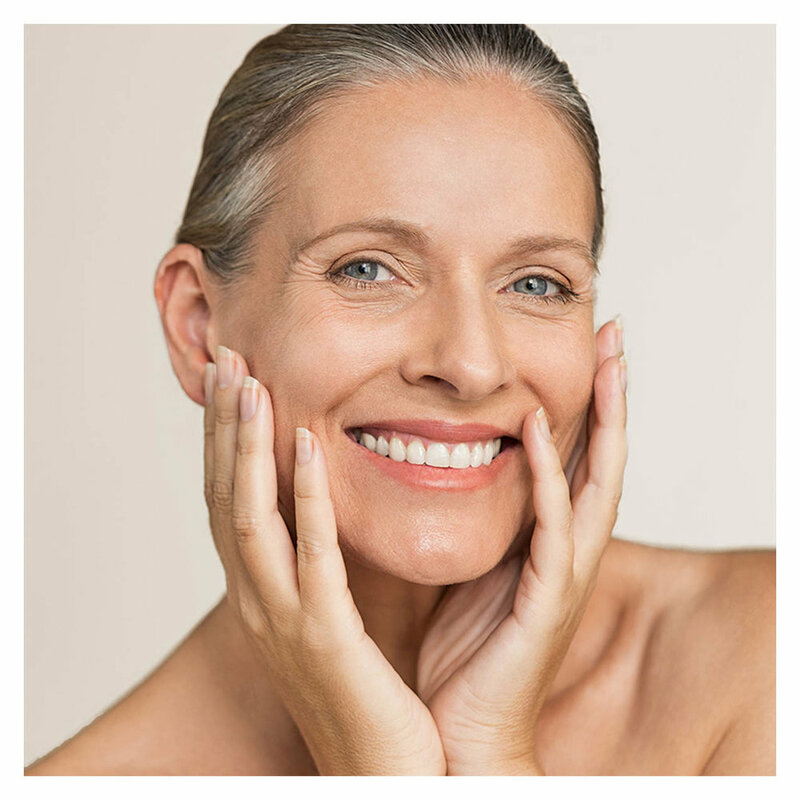 A face-lifting microcurrent treatment will lift & tighten the face. The facial is completed with a nano-channeling treatment under where serums are deeply infused into the skin that will smooth facial lines, brighten the skin and build collagen. Your skin will continue to look better in the days following this treatment. A series of 10 treatments is essential for maximum results. If you are looking for BIG changes to your skin, consider our Gravity Defying Series. You can read all about it here (and we recommend that you do). If you choose to invest with a series, we will recommend a specific home care routine of products to follow. Your esthetician will be your skin fitness coach to achieve the best results possible. Think of it this way, you can’t go to the gym once and achieve great results. This is the best of all our facials and is recommended for any person who has more deep lines & wrinkles. The facial begins with a cleansing & exfoliating massage. We deeply massage (without pain) the face, chest, front and back of the neck looking for trigger points to release tension that may be pulling on your facial muscles. Our owner who trained in massage therapy developed this signature facial massage and you’ve never experienced anything like this before. After your muscles have relaxed a level 1 peel is then used to further the deep cleansing of the face, neck & décolleté. A Neurotris Microcurrent Treatment is performed, where it exercises the muscles of the face, making them tighter giving your face a natural lift. The next part of your lifting & filler facial is where you’ll receive some nano-channeling which pushes the facial filler serum we use deeper into your skin. A special hydrogen mask is applied to push the serum even further, leaving the skin plumped, vibrant and glowing. While you are masking, you’ll have an LED treatment to further enhance your results. Your treatment is completed with an infusion of peptides to boost the results of the filler treatment. One Filler Facial results last up to 5 weeks. A weekly series of three treatments will produce results up to 5 months and is what we recommend. A series of 5 is recommended for more damaged skin for even better results. We offer a unique treatment protocol to follow that will take years off your face. This age-reversal facial series combines skin care coaching with our recommended home care products, Read more about how this program works here. This is ideal when you are ready to commit to making changes and get results that will take years off your face.